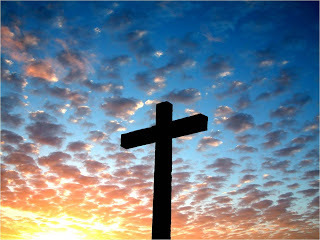 Cornerstone Blog: A truly Wonderful Easter Sunday! A truly Wonderful Easter Sunday! and life is worth the living just because He lives!" What a tremendous Easter Sunday we had yesterday! It was wonderful to gather together and worship our Risen King, Jesus Christ! Our Sunrise Service was certainly early, but we had 124 people come "very early in the morning" to celebrate the Good News that came to all the world nearly two thousand years ago that "Jesus lives!" We then enjoyed a delicious breakfast cooked and served by 15-20 men who were here as early as 4:30 AM. A huge thank you goes out to each one of them for their faithfulness to God, and their servant's heart. Every table was just about full in our Large Fellowship Hall, and we had a great time of fellowship as we ate bacon, sausage, eggs, gravy and biscuits! Our Youth led children ages 4th grade and under on an "Indoor Easter Egg Hunt," and from the looks on the faces of the children, it was a big success! It was obvious they had a lot of fun. Thanks to our Youth for organizing and leading that event. We then had 151 attend our Sunday School hour, followed by our 10:30 Worship Service, where 171 people attended. We were blessed to witness the baptism of one of our children, and then our Choir led us through a musical that lifted up and glorified our Risen Lord! As a pastor, it is thrilling to preach the glorious news that Jesus is alive. It is the heart of our faith, and it is the message that can change the heart of any person who will place their faith and trust in Him. It is also a blessing to see so many devoted, unselfish people who serve the Lord, not for a pat on the back or to be seen by others, but simply because you love Jesus! The strength of God's church is the message of the Gospel, and His Spirit in control of people like you, who just keep on keeping on for the sake of the Gospel, no matter what. Thanks to everyone who made our celebration yesterday of Christ's victory over sin and death so special. I know you served out of love for Jesus, but I want you to know what an encouragement it is to me to see your love for the Lord and your love for Cornerstone Baptist Church! I hope the day was as great a blessing to you, as it was to me! May our focus always be to declare the glorious news, "He is Risen!"